Because if we don't have one of these you guys will wind up making a thread for each character. SO. Discuss who you like and why. Please try to be respectful of other people's opinions if you happen to disagree. Vinyl Scratch. I am a fan of any character that wears sunglasses, especially when they're mirrored. I also like characters that manage to express themselves well without words. Scootaloo's a very close second. I really like her mane. Fluttershy. I'm a sucker for anything cute, and that really demure voice and personality, alongside that yellow/soft pink color scheme makes her adorable. 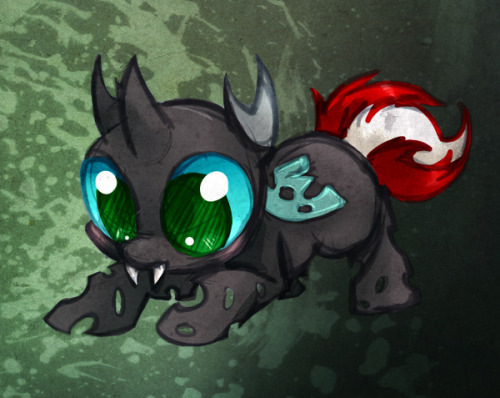 Changeling... what, not a pony? 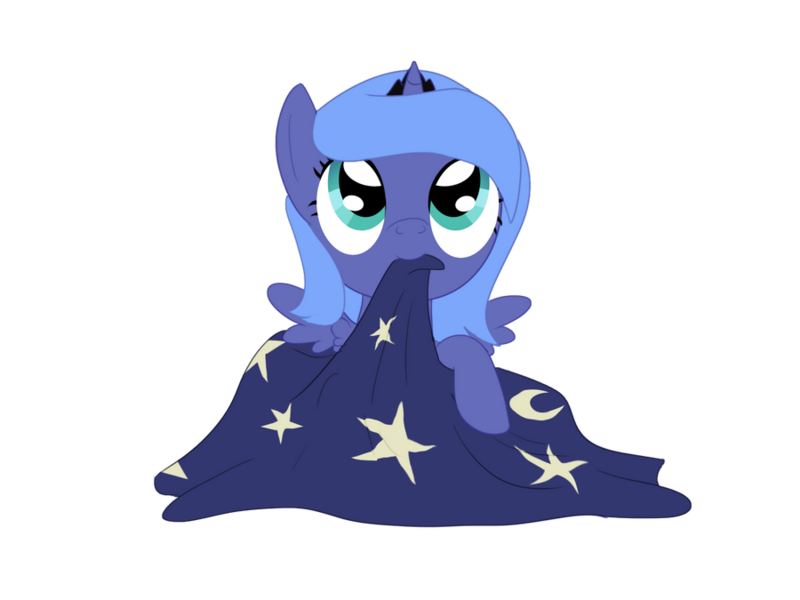 Luna then, her portrayal by the fan works got me hooked. The past, the angst, and the drama! I could faint like Rarity. (Before the season finale) She has ideals, and she pursues those ideals to the very end. They may be misguided, but she still has gumption. (After the beginning of the season finale) STARLIGHT. IS. BEST. UNICORN. I MEAN SERIOUSLY, WHO ELSE COULD REVERSE-ENGINEER ONE OF STARSWIRL'S SPELLS, AND FLY, AND TIME TRAVEL, AND HOLY CRAP LOOK AT THE WAY SHE KEEPS HANDLING TWILIGHT! SHE IS SO AWESOME AND SARCASTIC AND I LOVE HER. (After the end of the season finale) D'aww... she's so sad and lonely. I mean, I can understand people thinking her response was completely unrealistic, but I beg to differ. I've been through a similar situation, where a friend abandoned me and convinced me that friendship was worthless. I feel that she was completely justified, at least in her own mind. I’ve kind of abstained from choosing a favorite pony, but I have to admit, I liked Starlight Glimmer as well. Her magical talent rivaling that of Twilight to the point that the only thing Twilight could do was persuade her to stop. And like it has been said, she felt her actions were justified because she felt that something was taken away from her, weather it was a friendship she had as a foal, or the society she created for herself in the beginning of the season. But I love her as a character, she's everything I'm not. I'm the passive, non-competitive, sit-in-the-back-quietly kind of person, whereas Rainbow Dash is a competitor. She's always looking for a challenge, defending what she cares about, and is still charismatic and caring at the same time. Well except in Rainbow rocks, because then she's a total jackass.